Newspapers often talk about students graduating with $30,000+ or even $50,000+ in student debt. What matters is understanding how the student loan scheme works, how much you can borrow or be granted, and how much you will repay. We have written this guide to outline important information about student loans, student allowances, interest rates and everything else that is relevant. Our 10 must-know student loan facts, in particular, are something every potential student and parent should know. ​If you are looking to graduate with a small loan rather than a big one, keeping control of your living costs is a significant factor. High rents all over New Zealand make living at home while you study much more affordable. By doing so, the average student could potentially save at least $10,000 to $15,000 per year. Over three to four years, this adds up to a significant amount. If you are determined to break away and have a university experience away from your family, most universities offer exchange partners. This lets you pick an overseas university and study for one or two semesters. 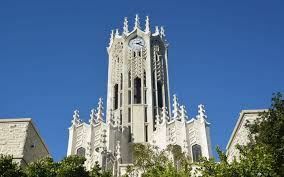 Best of all, you will pay New Zealand fees, and many overseas study-specific scholarships are available. If you plan to take a three-year degree, one year away and two years living at home could be an economic compromise. Based on your needs, you can apply for up to four different student loan entitlements. You do this all at once when applying for a student loan. We have outlined each one in detail below, and our FAQ section below looks at the finer details. If you plan to enrol in an eligible course (university and polytechnic offerings are usually 'approved courses', but you can check to see if your course is indeed approved here), your student loan will cover 100% of the tuition fees, regardless of whether you study full-time or part-time. If you are studying full time, you can apply to receive a maximum of $231.92 per week during the duration of your study. You don't have to borrow the full amount, and as living costs is part of your student loan, you'll have to pay it back. You can get up to $1,000 every 52 weeks, no matter how many courses you're studying during this time. The amount(s) you claim are added to your student loan balance just like the tuition fees and living expenses. More details are outlined here. ​You don't have to get the full amount of $1,000. You also don't need to claim it all at once. What allowance you are entitled depends on your background. Every family situation is different, and for anyone under 24, parental income is the key decider on the amount of student allowance you will receive, if any. This helpful calculator from the IRD estimates your entitlement for anyone under 24 using the basis of parental income. You can also see specific maximums based on a number of family situations. Remember, declaring information which is known to be false is a crime and can be prosecuted. Important: The student allowance/student loan for living expenses remains fixed at around $232 per week. First-year students will find either of these options won't cover halls of residence fees, so will need to have another source of income and/or savings to make up the difference. Your student loan balance and repayments are managed by the IRD once StudyLink have approved your loan. Required repayments by the IRD are different depending on whether you are living in New Zealand or overseas. Whatever your student loan adds up to, none of it needs to be repaid until you earn at least $19,448 a year before tax. You pay 12% of every dollar earned above this threshold. But, your student loan balance is only interest-free as long as you work and live in New Zealand. This means if you move between jobs and/or take time off, you won't be charged interest on the balance owing. Importantly, if it takes you a few months to find a job after graduation, you won't make any loan repayments. How much will I repay every week? The IRD states you will repay 12% on any earnings over the $374 weekly pre-tax repayment threshold. Importantly, this amount is before tax. The balance you see being deducted is larger than the amount that your loan reduces by - this is because income tax is deducted from the repayment. How can I possibly repay my student loan off if I graduate and get a low-paying job? This is a question that students (and parents) ask, but because of the repayment threshold, there is somewhat of a safety net for low earners. Specifically, someone on a low wage will be required to repay little or nothing at all. Given the $19,448 minimum yearly income threshold, only higher earners will make large repayments as you pay 12% of every dollar earned above this threshold. Secondly, if you are not able to earn above the minimum repayment threshold, you won't repay anything. Ultimately the success of your education reflects how much of your student loan you will repay. If you earn above the $19,448 threshold, 12% on every $1 earned above this amount will be deducted from your gross salary and the amount after tax will be used to repay your student loan balance. Why is this distinction needed? We believe that 'student loans' as a concept frighten people, especially families from non-traditional university backgrounds who are less likely to attend university. 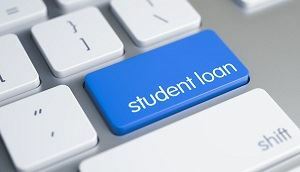 Students who do take out student loans can lose the fear of debt, taking out credit cards, overdrafts and/or other loans in the belief that the government endorses debt through student loans. Many New Zealanders will repay their student loan for at least ten to fifteen years of their working life, but there is no extra cost if it takes longer. Student loans need better understanding. As a student, you will receive statements from StudyLink that show your total debt, which can be frightening. We believe that statements should instead explain that the balance is interest-free and only repayable once you earn above $19,448 per year. Sending students big, scary balances is unhelpful when there is so much more that could be done. Conversely, students living away from home, not working part-time and with little or no savings and not receiving any support from their family will probably find their education relatively more financially stressed. Once your application for a student loan has been approved, StudyLink pays your tuition fees directly to the education provider, i.e. your university. You can also apply for these to be covered, as outlined above in the entitlements section. The MoneyHub Scholarships guide lists $100 million+ worth of opportunities, as well as tips for success. Every year, many go unawarded because no one applies for them. If you are in Year 13, it's best to get organised early in your school year. This means that if you graduate with a loan balance and stay within New Zealand to work, you will only repay what you borrowed. What if I plan to go overseas? If you go overseas for less than six months, the way you pay your student loan stays the same. If you're away for more than six months, the way you pay your student loan will change. If you do go overseas, the current interest rate won't apply to your student loan balance until you've been overseas for six months or more. The interest is then backdated (i.e. charged) to/ the day you left New Zealand. The current interest rate is 4.30% per year and you will need to repay between $500 and $2,500 every six months based on the size of your loan balance. Repayments are necessary to avoid late fees and penalties being charged. Currently, late fees are calculated at the loan interest rate for the tax year per the IRD's website. If you are in a low-paying job overseas and have a high loan balance, you will need to budget to meet the compulsory repayments. 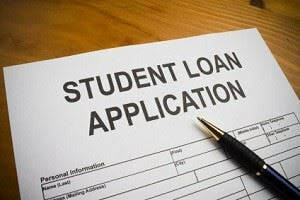 ​All student loans are repaid through automatic deductions when you are employed. The amount you receive in your bank account has the repayment removed. If you don't earn anything, or earn less than $374 per week, you will not make any repayments, and only start contributing when you are earning above $374 per week. If you are self-employed, which is relatively less common for a new graduate, it works in a similar way, except you will calculate your annual income and make a payment per the IRD's guidance based on what you earn. If you have earned above the threshold and fail to pay the calculated student loan repayment, you'll be sent a reminder via email and/mail. Failing to pay that could lead to court action. StudyLink makes it clear that if you plan to study part-time, you can apply for a student loan for compulsory course fees only (and not any other loans or allowances). Only in exceptional circumstances, i.e. if you have a medical condition or disability, would part-time study be classed as full-time study to receive more financial support. What this means is that if you are planning to study part-time, your fees will be paid upfront. However, you will need to pay your course-related costs (textbooks etc.) and living expenses without student loan assistance. Studying part-time? You WILL repay your student loan balance if you work at the same time as you study and earn above the threshold. A borrower has to start making repayments as soon as they earn over the pay-period threshold ($374 per week, $748 per fortnight, $19,448 per annum). Student Allowances - up to $231.92 per week, depending on your parents' income and your living situation. This tool calculates what you could be entitled to. There is no repayment on money you receive from a Student Allowance. 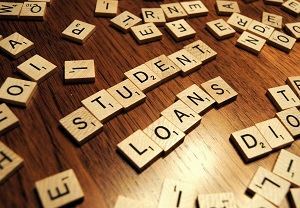 Student Loans - up to $231.92 will be paid in to your bank account weekly. A Student Loan for living costs is repaid in the same way as the loan for tuition fees (i.e. 12% of everything earned above $19,448). The maximum you will receive is $231.92 per week, either from the Student Allowance, Student Loan or a combination of the two. If your living costs exceed $231.92 per week, you will need to have alternative sources of money, i.e. from a part-time job, family and/or savings. Your student loan balance and repayment history do not affect your credit score or credit history. Our guide to credit scores in New Zealand makes this clear. If you apply for a loan, credit card or another form of credit later on with a lender, you may be asked to list your debts, including student loans. This is to understand your financial outgoings, as you'll contribute 12% of your salary on every $ earned above $19,448 to student loan repayments, and making sure you can afford whatever you are applying for. Quite simply, student loans do not affect your overall credit profile. Students loan can affect mortgage applications, as 12% of a pre-tax income changes how affordable mortgage repayments are and placing more risk with a lender should you be unable to pay. We discuss mortgages in detail below in 10. If you have savings and want to clear some of the balance, you can do this in addition to any regular repayments you make. The IRD sets out how to do this. There is no disadvantage to doing this, and many former students enjoy seeing the balance owing decrease as a result of one or many overpayments. 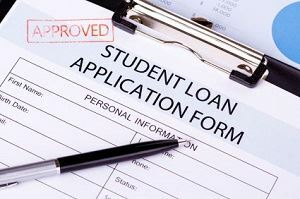 How student loan balances affect mortgage applications is a common concern. The good news is that the significance of a student loan is fairly small when it comes to borrowing from a bank when buying a property. While student loans don't appear on credit profiles, having one affects the affordability of new debt. For example, if you earn $50,000 per year, you will 'lose' around $3,600 per year making student loan repayments. This means you have less money to make repayments on a mortgage. But there is a flipside. Many people with student loans will benefit from university study in terms of their income as graduates and beyond. This means that their relatively higher salaries will allow them to apply for bigger mortgages. ​Overall, we estimate the effect of a student loan on a mortgage application to be minimal given the commonness of student debt among young adults. The Labour coalition government has introduced a number of perks for students, including free fees for first-year students. However, what the situation is today may not the same next year, and successive governments can change the terms of the student loan scheme. Improvements in previous decades have included making balances interest-free for those living in New Zealand, raising income thresholds for repayments and student allowance payments. But the government can also change rates, terms and benefits with a single vote in parliament. Unlike other countries, New Zealand's student loan system and tertiary education industry has been relatively stable. Course fees have remained stable, living costs loans and allowances increased with inflation and repayment terms unchanged. However, nothing is certain, and you will need to take the risk that interest rates, repayment terms and benefits could change without notice later on if you take out a student loan. Unfortunately for most people, there is no alternative to a student loan as a means to pay for further studies. We've prepared a number of frequently asked questions to help you understand the big and small details of a student loan. If you would like to know anything not included, please contact us with your suggestions. 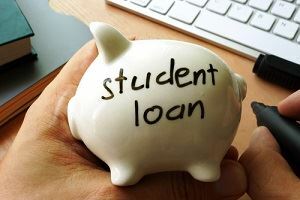 ​What is the difference between student loan entitlements for full-time and part-time students? In summary, any student whether part-time or full-time, can pay for their course tuition fees with a student loan. This is detailed in the table below. Only full-time students can apply for a student loan to cover living expenses and/or course-related costs. ​Can part-time students get student loans? Yes, but only student loans covering tuition fees are available. For course-related costs and living expenses, you need to be studying full time. How many hours or papers are classed as full-time study? New Zealand tertiary education providers are required to EFTS (Equivalent Full-time Student). Your education provider will tell you how many EFTS you're studying. Generally, if you’re enrolled in a standard course, i.e. bachelor’s degree, and completing it within 3-4 years, you will be a full-time student. This entitles you to receive a student loan for tuition fees, living expenses and course-related costs. See StudyLink's EFTS guide for more details. How much do your parents have to earn to get a student allowance? If your parents' joint earnings are less than $55,027.96, you will receive the student allowance. If they earn more than this, you may still receive a student allowance, but it will be reduced. The StudyLink guide has more details. ​Can you get student allowance for part-time study? No – to get a student allowance, you must be studying full time. I don’t have a relationship with my parents; can I get the student allowance even if they earn above the entitlement threshold? If you can prove that your family situation satisfies the terms set by StudyLink, then you will be entitled to a student allowance. From our observations, StudyLink has asked for students to prove their lack of relationship in one or more of a number of ways. The best thing to do is contact them and ask for specifics. ​Can I use a student loan to pay for rent? Yes – this is the purpose by the student loan for living expenses, which is paid weekly into your bank account. It’s important to know that the amount you receive may be less than your actual rental cost, so you will need to be able to have other sources of money to make up the shortfall. This will either be savings, part-time job income and/or parental contributions. ​Do I have to pay a student loan back, and how much do I pay back? If you earn above $19,448 per year, you will contribute 12% of every dollar above this amount towards your student loan repayments. If you do not earn above this amount, you will not make any repayments, and if you stay in New Zealand, there will be no interest charged either. ​What is the student loan repayment threshold? The student loan repayment threshold is a certain annual salary amount, currently set at $19,448, whereby you contribute 12% of every dollar above the threshold to making student loan repayments. If you are overseas for more than six months, you will instead pay between $500 and $2,500 every six months depending on the size of your loan. The repayment threshold can change at any time, and usually increases rather than decrease. ​What age does a student loan get wiped? Student loans never get wiped unless you die. This means that you will pay 12% of your income over the repayment threshold until the debt is cleared. ​Can I use KiwiSaver to pay off my student loan? No, KiwiSaver cannot be used to repay student loans. KiwiSaver is a retirement-specific savings scheme which only allows early access to the money in cases of first home purchase, permanent emigration, significant financial hardship, serious illness or death. Wanting to pay off a student loan debt early is not an eligible reason to apply for early access. Will the IRD deduct student loan repayments if I earn more than the repayment threshold in the short term (such as a summer job), but also study full time? ​Is a student loan interest-free in New Zealand? If you stay and work in New Zealand, there is no interest payable on your student loan balance. However, if you go overseas for more than six months, you will be charged interest and will need to make fixed repayments. ​Why do I see interest being charged on my student loan? StudyLink charges every student loan balance a set percentage of interest, even though New Zealand-based borrowers’ student loans are interest-free. What this means is that your statements will show interest charges, but these will be reversed (i.e. credited) afterwards, so you will never actually ‘owe’ interest on your student loan balance. If you leave New Zealand for more than six months, then these interest charges will not be reversed, and your repayments will cover both the loan balance and interest charges. ​Do I pay tax on student loan repayments? Yes. While you have a student loan balance, your employer will use the tax code SL to deduct 12% from your income. Because taxes are applied, the amount your loan balance reduces by will be less than the actual repayment taken from your income. Are there annual fees for having a student loan? Yes; an 'annual administration fee' of $40 applies to your account if your student loan balance is $20 or more at 31 March every year. The IRD charges this fee and justifies it as the cost of administering every student loan account. You can see more details here. Are there late payment fees if I miss a student loan repayment? 4% calculated as a monthly rate. ​Can you leave New Zealand with a student loan? Yes – but if you’re going to be away for over 6 months for whatever reason (travel, work or a mix of both), you will need to notify the IRD. You can apply for a repayment holiday which freezes repayments for up to 12 months. Otherwise, the standard procedure sees you repay between $500 and $2,500 every six months, depending on your student loan size. Interest is also charged from the day you leave New Zealand. Are there any ways to avoid interest being charged if I go overseas for more than six months? Exceptions are available, but are quite limited. For example, if you move to the Cook Islands, Niue, Tokelau or Ross Dependency. You might also be able to stay interest-free if you're going overseas for study or work, or to accompany your partner. Full details are explained here. Can I take a repayment holiday and not make student loan repayments? A repayment holiday is an option if you are outside of New Zealand for more than six months. While interest is still charged, you won’t need to make any repayments for up to 12 months. This is useful if you’re going to be travelling for an extended period and/or moving overseas and looking for work and don’t have the money to make loan repayments which can be as high as $2,500 every six months depending on the size of your loan. Further information is outlined here. If and when you come back to New Zealand permanently, interest costs are suspended. But you will need to repay the balance as normal, and it may be higher if interest has been charged while you were overseas. If you get a job below the minimum repayment threshold, then you will not make any repayments. What happens if I don't repay my student loan while overseas? There are a number of problems that can arise if you fail to meet your required payments. 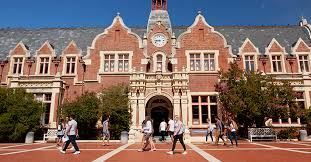 Recently this year Inland Revenue began arresting student loan defaulters overseas who visited New Zealand, which created a lot of media attention. In every situation of non-payment, interest and penalty interest will be added to your balance. This can make a relatively small student loan balance balloon quite quickly, as outlined in this media story. Quite simply, not making student loan repayments when overseas will at the minimum see a lot of extra fees added to your balance, and at the worst lead to you being arrested on arrival in New Zealand. With 6-monthly payments fixed at between $500 and $2,500, managing repayments while living overseas is not as difficult as it would appear. If you believe a student loan is right for you, there are some steps to complete to receive a student loan and/or allowance. Complete the eligibility test - it is part of the application process which tells you what you may receive. You will need to enter some required information to complete the test. This calculates your entitlements and makes your application for a student loan straightforward. Submit an application - once you’ve completed the eligibility test, you’ll only need to provide a few more details to submit an application for a Student Loan. You'll need a few basic details, specifying if you want your loan to be fees only, or to include living expenses and/or course-related costs. Once submitted your student loan will be approved or rejected within a few working days. You will also need to sign a student loan contract. From here, StudyLink will activate your student loan and let you manage your account online where you can see all transactions and the balance owed. Please Note: MoneyHub has adopted certain statements and views around Student Loans and their classification as an alternative debt from overseas think tanks, education journals and resources such as MSE UK. There is a lot of uncertainty around the cost of study, and misinformation about whether people can afford it. While there are many reasons not to go to university, I believe that no hopeful student should miss out on an opportunity based on study costs being out of their reach. The range of entitlements offered by the government's student loan scheme is generous, and we explain these in detail here. Our aim with our student loan guide is to help anyone looking at tertiary study learn about the costs involved, what they are entitled to receive and/or borrow, and ultimately dispel any myths that are incorrect or unhelpful. Whatever you decide to do, we wish you the best of luck in your studies.